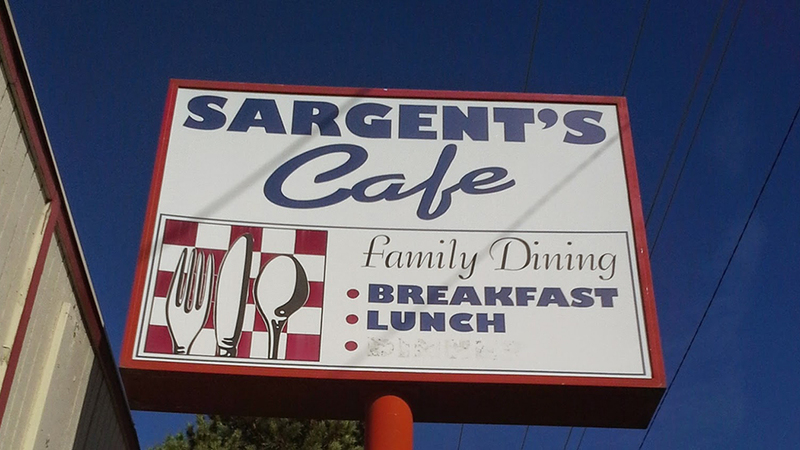 Sargent’s Café has probably been around longer than you have and they’re proud of that. They also don’t really mind if you call them a hole in the wall because their restaurant on 3rd Street is pretty understated, just like Sargent’s itself. What you will find is friendly staff, servers with hearts of gold, and honest American diner fare at fair prices. Not long ago, their reader board advertised Sargent’s as a “Bacon Dispensary” and that would be a fair assessment. Along with bacon they’re serving up egg dishes just the way you like them, pancakes, waffles, French toast, and plenty of diner coffee. For lunch, try one of their homemade soups or, if you’re really hungry, tuck in to a freshly griddled burger and a pile of fries, meatloaf and mashed potatoes, liver and onions, or country fried steak. Sargent’s Café is as local as it gets so do a little eavesdropping and you’re bound to hear a good story or two, and maybe even learn about someone’s secret fishing hole.